The normal (or Gaussian) distribution is a common probability distribution. This equation has two parameters: \(\mu\) and \(\sigma\). \(\mu\) is the mean of the distribution. \(\sigma\) is the standard deviation. The normal distribution is often just represented by these two parameters. Total area under the curve is 1. 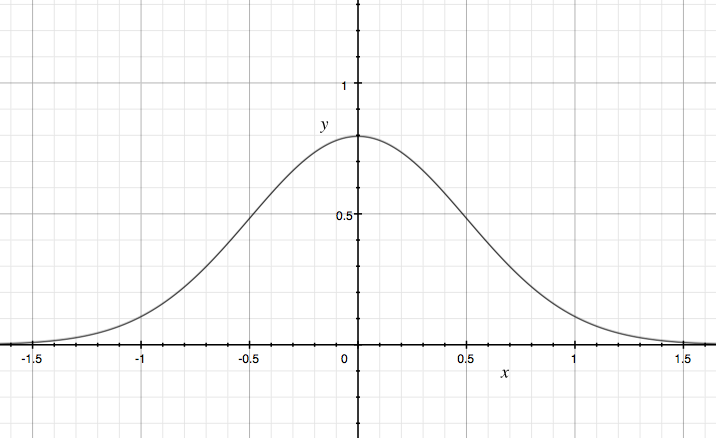 The standard normal distribution is simply when \(\mu\) = 0, \(\sigma\) = 0.